This water wheel fountain is a sculpture within a sculpture! The rustic granite fountain features a precisely sculpted paddle wheel and mill house placed within the hollowed out cavity of the large boulder. As the water flows, it cascades over the paddle wheel, causing it to spin. The water flows into the self-contained boulder basin below and is recirculated to flow through again. 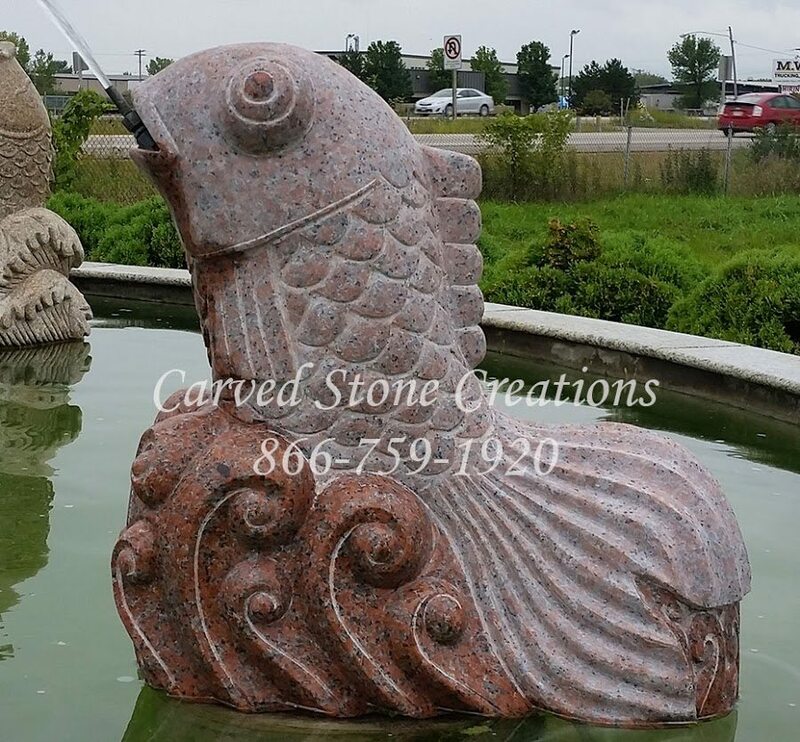 This wide-eyed fish fountain is handcarved from Maple Leaf Red granite. The water carvings around the bottom of the fish are polished to create contrast and bring out the beauty of the stone. 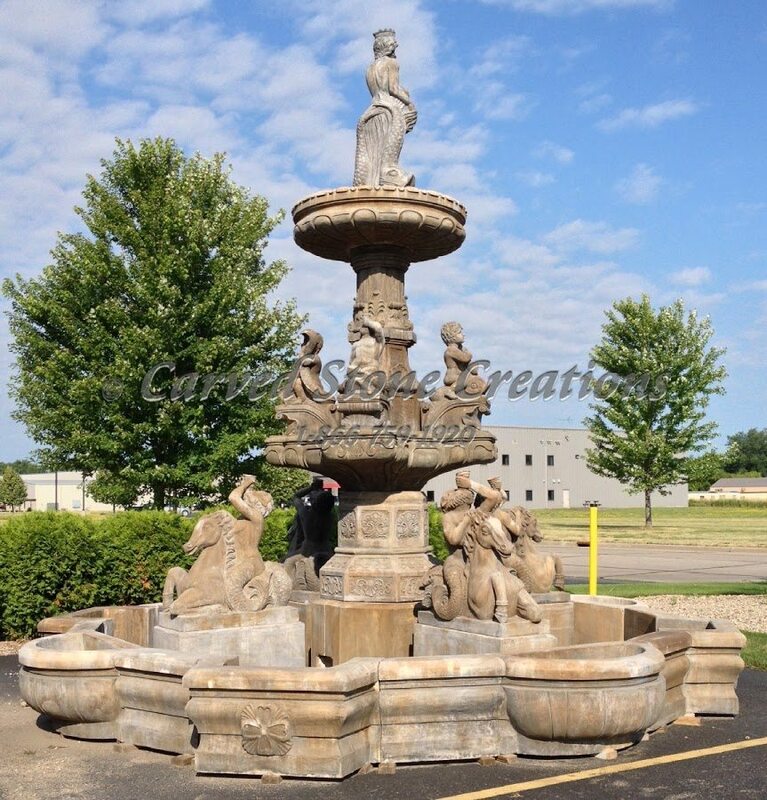 This fish fountain would make a great complement to an outdoor pool area! This boulder fountain is anything but ordinary! 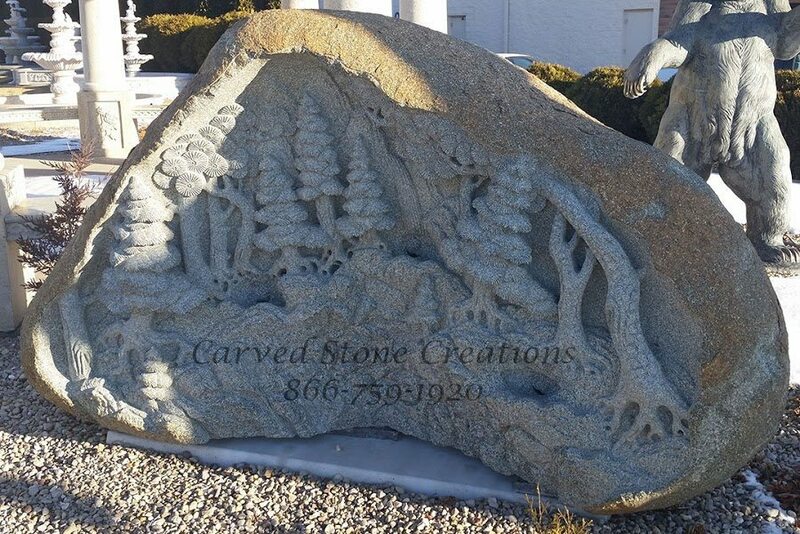 It features a handcarved detailed forest scene on the front of the boulder. Water flows like a waterfall over the front of the carving to bring it to life. This large marble fountain is adorned with intricate handcarved details. It features Neptune, Poseidon and several mermen. The surround also features built-in planters to showcase beautiful flowers and plants near the fountain. This fountain is handcarved from natural granite boulders. The water cascades down three vessels staggered inside the hollowed out boulder. As the water gently flows, it creates a serene ambiance. 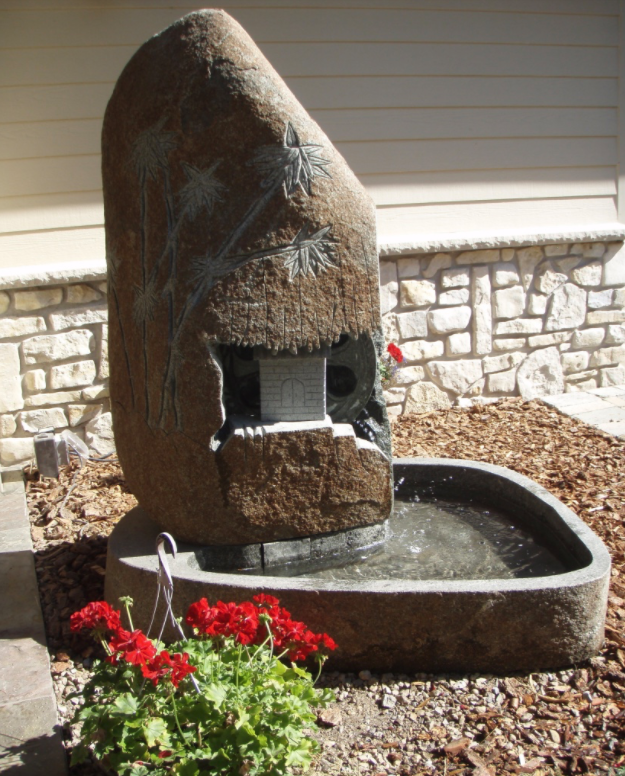 Are you interested in adding a unique stone fountain to your landscape? Contact us to learn more.